Australians feel too self-conscious and anxious to talk to people that use alternate methods of communication, like spelling boards or sign and gesture, leaving those with a disability feeling frustrated, worried and lonely, new research from disability support charity Scope has revealed. 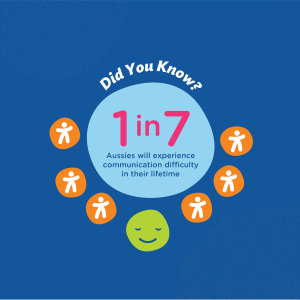 With one in seven Australians experiencing communication disability in their lifetime, Scope conducted over 100 in-depth interviews with people with a disability, and commissioned a survey of 1,000 Australians to start a conversation about one of the most common, yet least understood social challenges ahead of International Day of People with Disability (3 December 2017). Scope CEO Dr Jennifer Fitzgerald said people who cannot rely on speech to communicate depend on a range of tools, such as electronic speech devices, spelling boards, word boards or picture boards. “Imagine not being able to rely on speech to communicate with a taxi driver, a waiter, a police officer or even your neighbour. Well, for a quarter of a million Australians, it’s a daily reality,” Fitzgerald said. Highlighting the stark gap in understanding, four in five Australians (79.3%) believe it’s best to direct their conversation to a support person. Yet Scope surveys of people with a disability found talking to a support person instead of the individual made them feel frustrated (46%), worried (41%), and lonely (30%). In contrast, when spoken to directly, respondents reported feeling happy (78%), safe (63%) and relaxed (66%). The research shows Australians are reluctant to converse with people with a disability, with two in five worried they will offend the person (39.6%), or just don’t know how to (39.4%). One in four (26.9%) are concerned the person will feel frustrated if they don’t understand them. “Communication is such a common challenge for people living with a disability, so it’s unfortunate that a lack of education has left Australians feeling too anxious to have a respectful conversation,” Fitzgerald said. “Our research found Australians are unaware of the range of communication tools that enable people with a disability to express themselves, with four out of five saying they have never seen a spelling board (82.4%) or a digital aid that speaks words (81%). Scope is calling on organisations to undertake disability awareness education as well as get accredited in communication accessibility to ensure their businesses are ready welcome people with a communication disability. Download the research summary here. Have incorporated communication tools and aids to support people to get their message across. Over 200 leading Victorian organisations have been accredited with the Communication Access symbol to date, and thanks to an NDIS grant, Scope can now roll-out Communication Access to New South Wales and South Australia. This International Day of People with Disability, lets aim at increasing public awareness about understanding and accepting 245,000 Australians who have a communication disability. Contact Scope to know more.